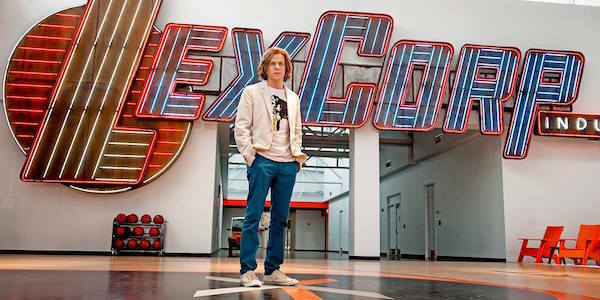 Jesse Eisenberg’s Lex Luthor fills a lot of roles in Batman v Superman: Dawn of Justice. Billionaire businessman. Genius. Super villain. Doomsday creator. However, basketball player isn’t one of them, and despite Eisenberg having some talent shooting hoops, one scene involving Luthor making a 3-point shot at the LexCorp basketball court proved more difficult than expected for the actor. …And then the character has to turn around and have this very confident, villainous greeting to these people, but I just looked like someone who had finally made a shot after 30 baskets, which is like, exhausted and apologetic. Making a 3-point shot is hard enough when cameras aren’t pointed at you, but in Jesse Eisenberg’s case, he also had to deliver a greeting as Lex once the ball went in. So it’s understandable he had so much trouble pulling that off, but I’d like to imagine that Lex really did feel "apologetic" after making that shot. He doesn’t strike me as the type who was athletic in high school or college, so scoring a 3-pointer is no small accomplishment, especially when a group of people are watching. Fortunately for Lex Luthor, he doesn’t have worry about making it into the NBA to make his billions. He inherited LexCorp after his father’s death and, under his leadership, the company’s direction has shifted from oil and machinery to tech. That move proved beneficial, as Luthor was subsequently named Fortune Magazine’s Businessperson of the Year. The new LexCorp has also been said to have a more "Silicon Valley"-feel to it, which explains the basketball court- shooting hoops is one way for its employees to deal with stress. Within the inner confines of LexCorp, however, Luthor is up to no good plotting how to defeat Superman. The full extent of his plan is still unknown, but it will involve using General Zod’s corpse to create Doomsday. When you’re plotting to kill Earth’s Kryptonian protector, sometimes taking a basketball break can help clear the mind. You can hear Eisenberg tell the story for himself, as well as explain like to work with the always-muscular Henry Cavill and Ben Affleck, in the video below. Lex Luthor’s evil scheme will unfold when Batman v Superman: Dawn of Justice is finally released on March 25.